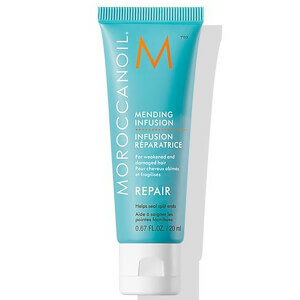 Infuse thirsty locks with high-power hydration. The Moroccanoil® Hydrating Shampoo and Conditioner Duo is fortified with nourishing ingredients that synergise to leave hair soft, cleansed and moisturised. Enriched with argan oil and vitamin-infused daily-care formulas. This shampoo revives and livens up dry hair with its blend of antioxidant-rich argan oil, vitamins A and E, and moisture-attracting red algae, to leave your hair looking and feeling healthier with increased manageability, smoothness and shine. 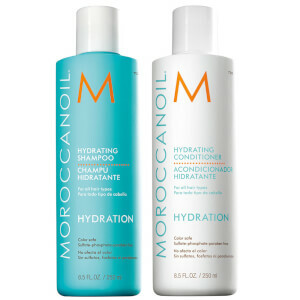 Gentle enough for daily use, it provides optimal hydration for both normal and colour-treated hair. Colour-safe and free from sulphates, phosphates and parabens. This conditioner is a gentle, daily-use formula that leaves hair smooth, manageable and easy to style. Infused with antioxidant-rich argan oil, vitamins A and E and moisture-attracting red algae, the detangling formula provides optimal hydration and conditioning. Colour-safe and free from sulphates, phosphates and parabens.